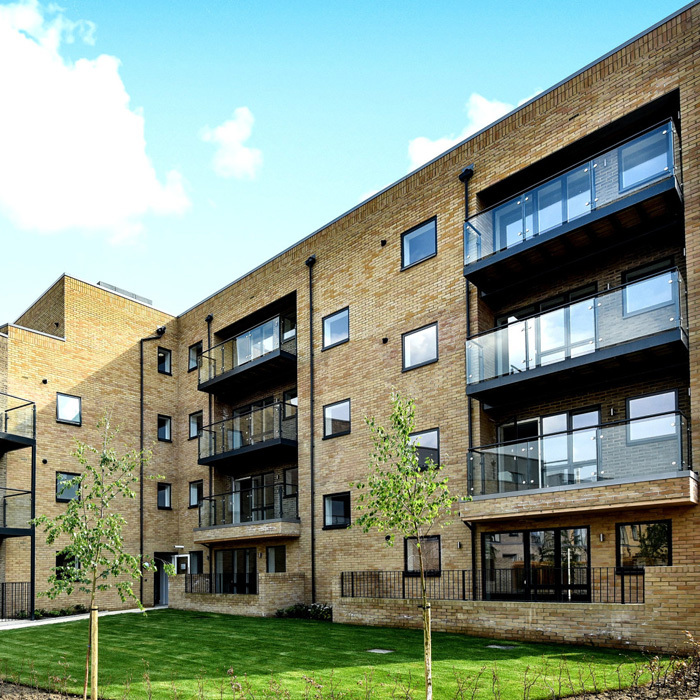 We have been fortunate to work with some of the best housing developers and contractors. 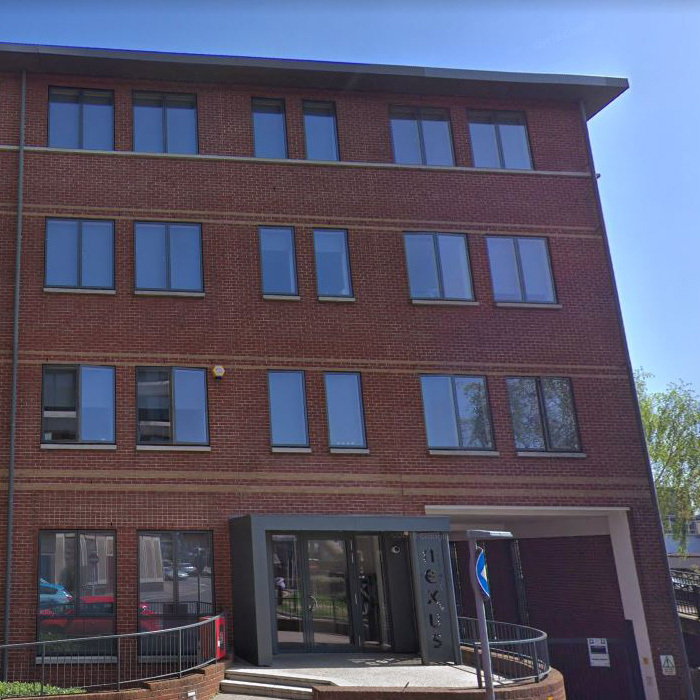 Here is a selection of the schemes we have worked on. 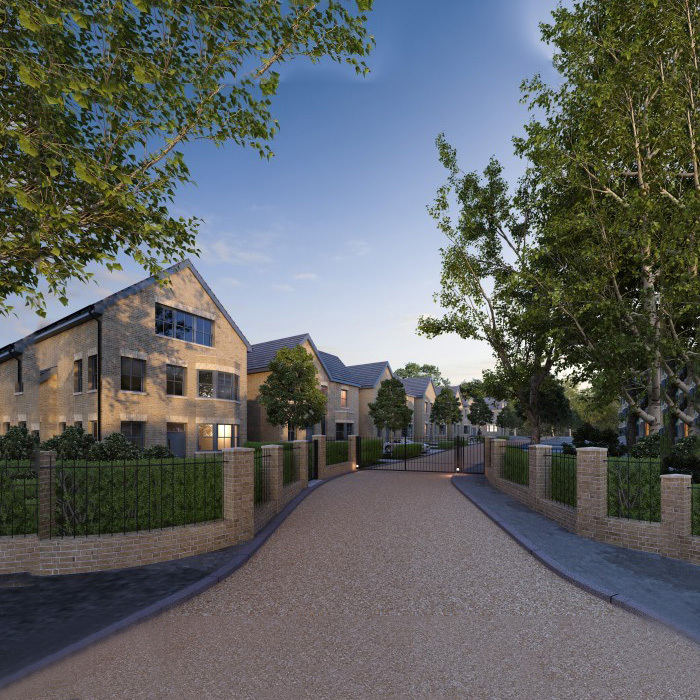 An exclusive gated development of 27 four and five bedroom houses and 19 affordable apartments. 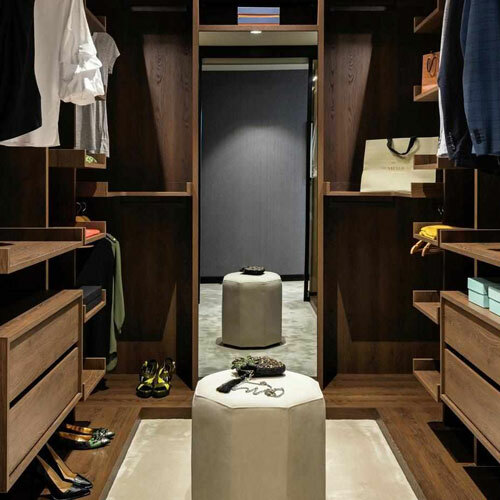 Pantera have installed the Battistella cinquanta3 wardrobes in Bianco exterior with Nuvola interior to the first, second, third and fourth bedrooms in the private houses. A total of 108 houses. Specification: Basic Bianco finish doors with A70 handle Bianco. Nuvola carcase. 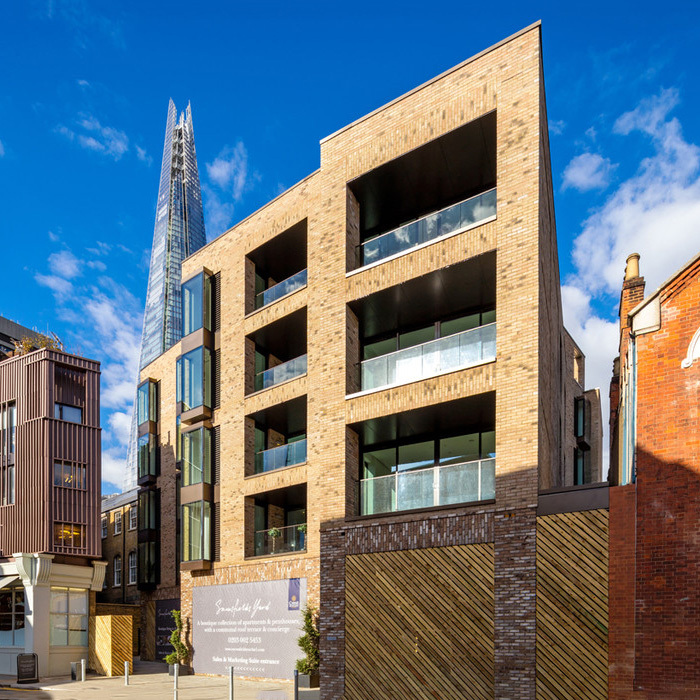 One of the finest developments in SE1. 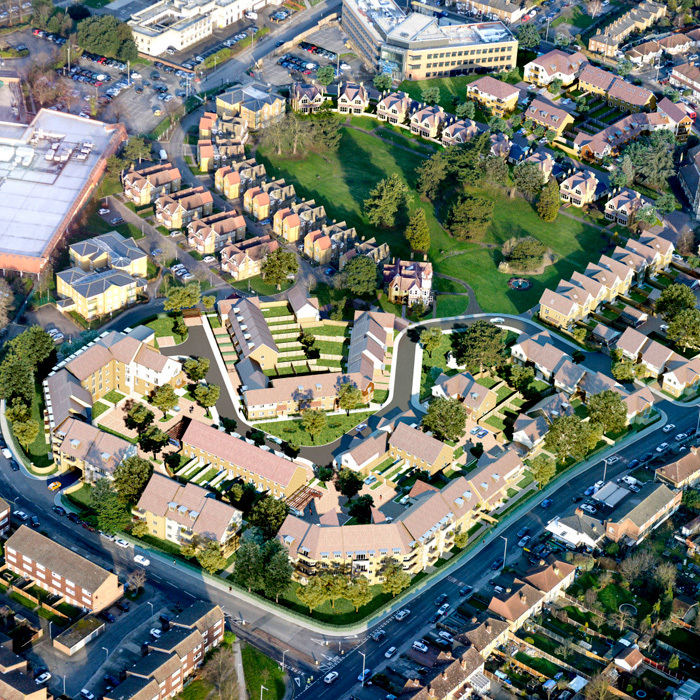 A development with apartments, duplexes and Town Houses. 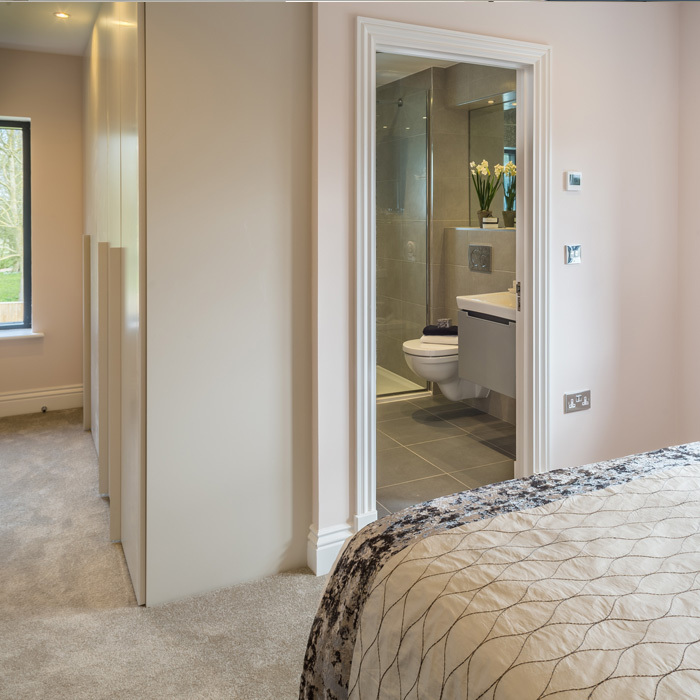 Pantera installed the Novamobili Alfa door with flap handles to Bedrooms 1 & 2 depending on the total bedrooms within the property. Additional lighting and drawer units where also fitted. The finishes were Matt lacquer Grey and Tortora. Specification: Novamobili Alfa doors with Flap handle in colours of Grigio or Tortora matt lacquer. 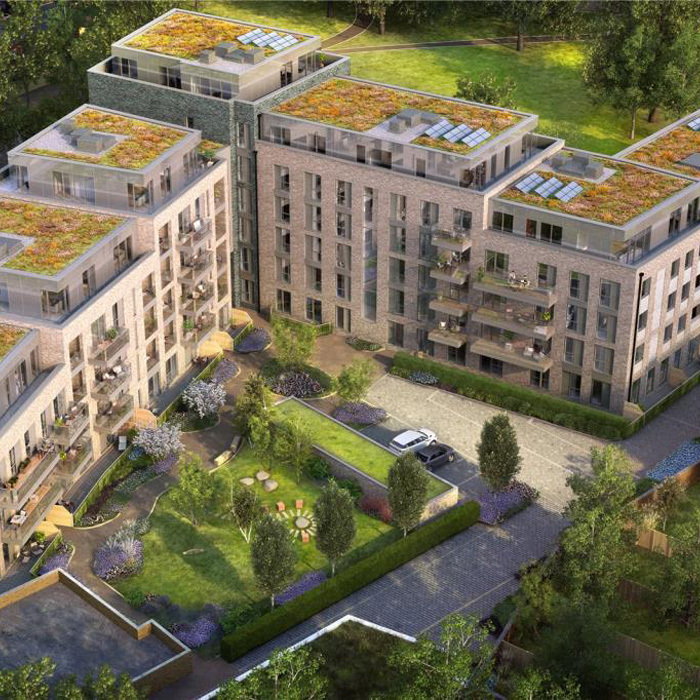 Our own designs were first used in these premium residences, using Novamobili doors and running gear from Italy. 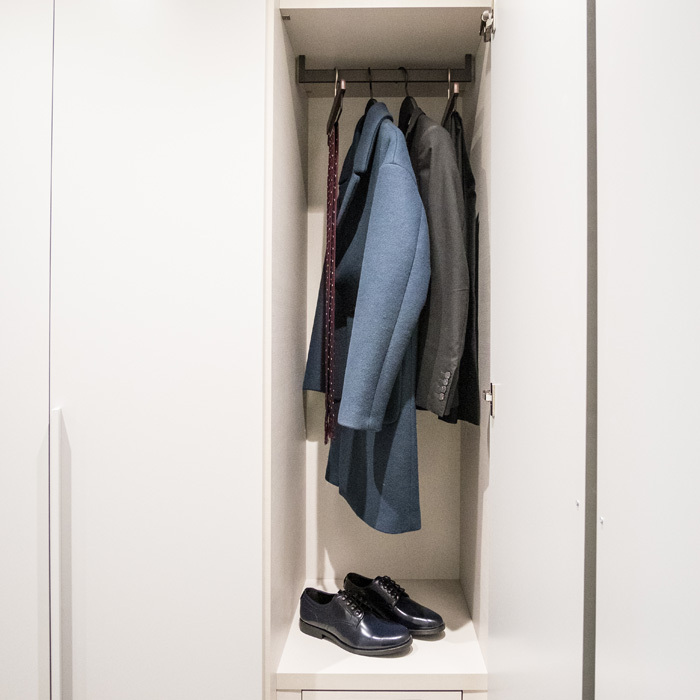 We installed wardrobes to all three blocks. 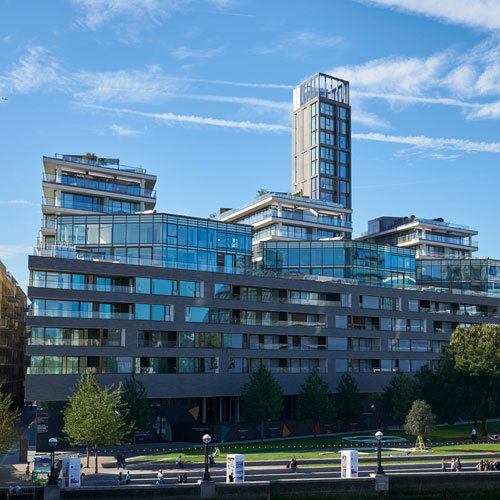 The apartment on the 18th floor of the Kingley Tower had some stunning views across the London skyline. Total of 205 wardrobes. Specification: Bianco finish Alfa YNCA doors. Bottom running track on Bianco plinth. Nuvola grey internal shelf with chrome hanging rail underneath. 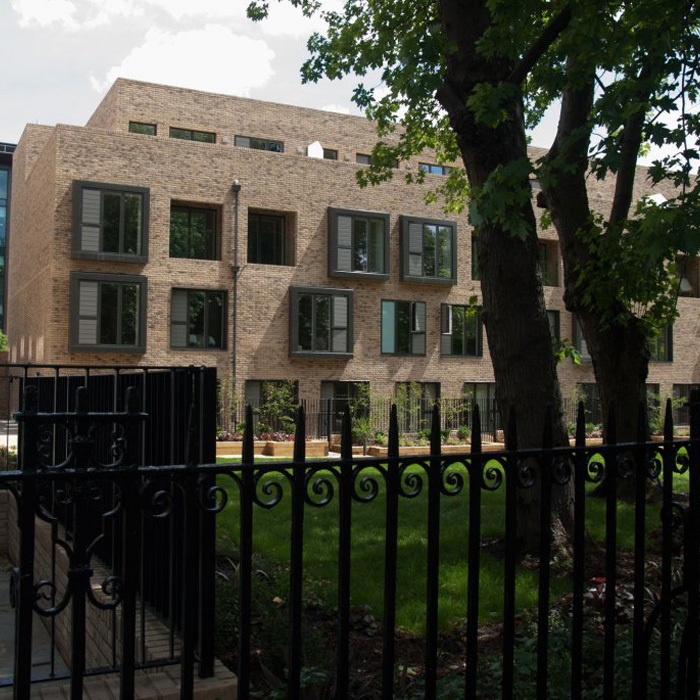 A unique blend of 1, 2 and 3 bedroom apartments and mews houses. 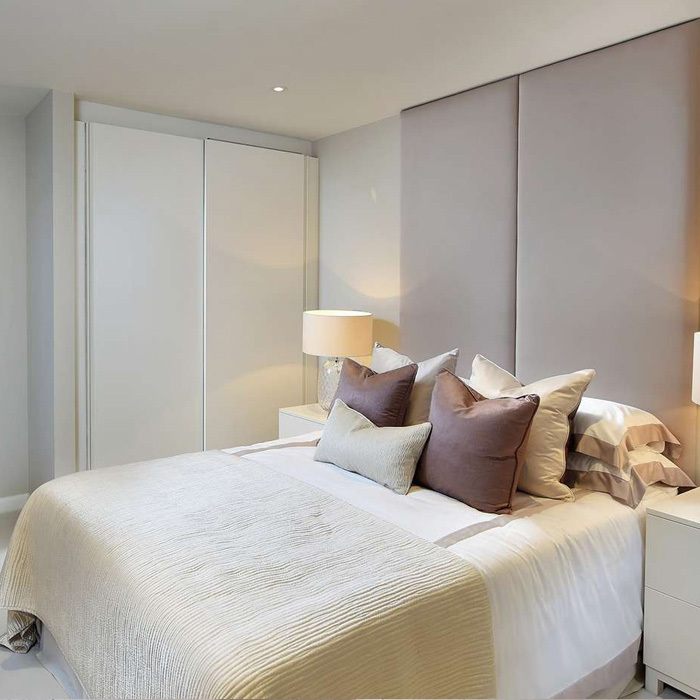 Pantera installed Alfa wardrobes with flap handles in matt lacquer finishes to bedrooms 1 and 2, a total of 84 units. 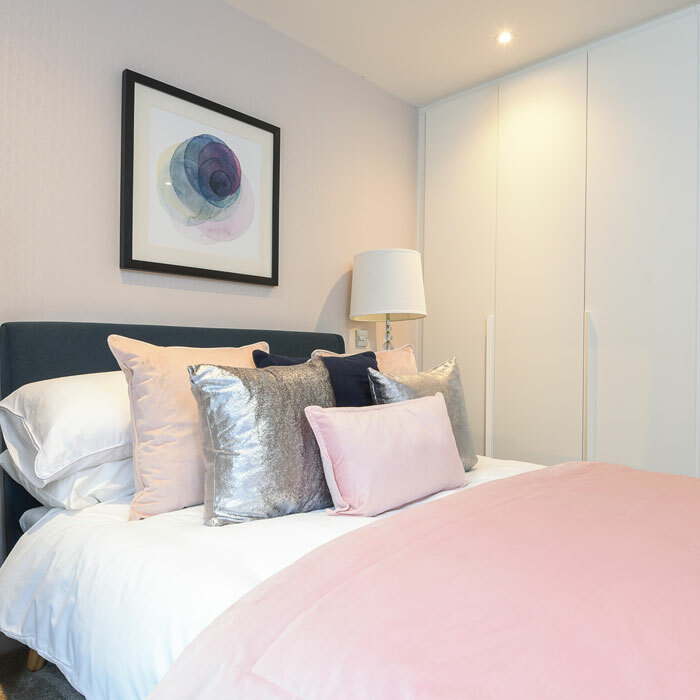 Working on a development which was a joint venture between Peabody and the Purelake Group, we installed Battistella Nidi wardrobes in a Bianco finish to the 19 private apartments on the scheme. Specification: Bianco finish external and internal doors complete with A76 handle in Bianco finish. 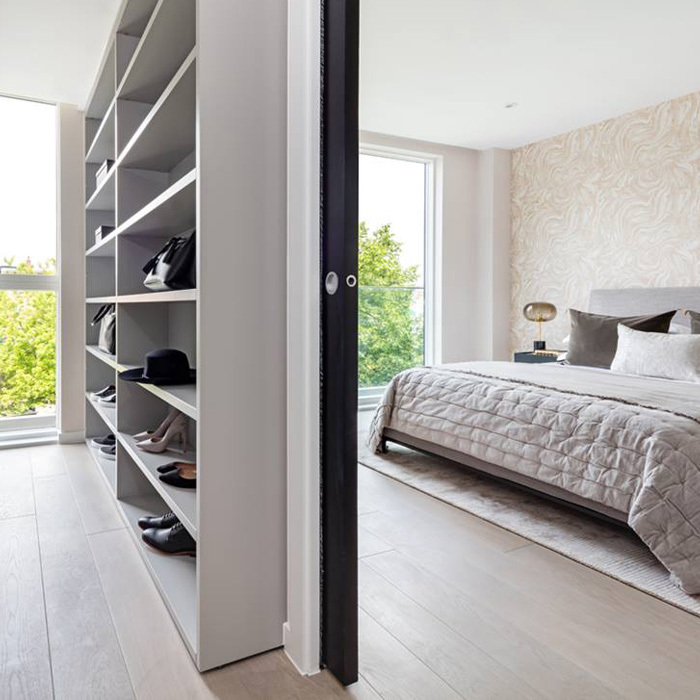 Pantera Installed Biaqnco finish Cinquanta3 wardrobe to 20 luxury bedroom apartments and 8 exclusive 3 & 4 bedroom houses. Specification: Bianco exterior finish with Nuvola interior. Doors complete with A76 handle. Snowfields Yard part of Crest Nicholsons SE1 portfolio just 505 meters from The Shard. 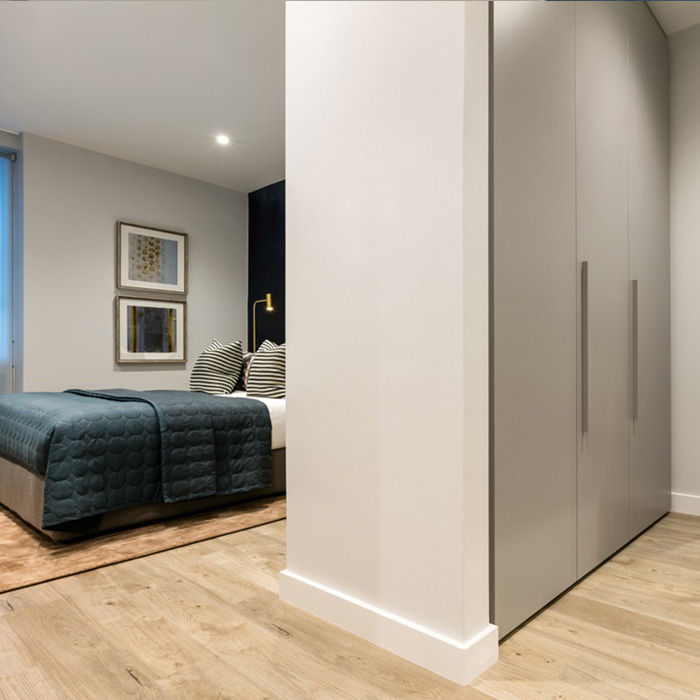 Pantera installed Novamobilli Alfa hinged wardrobes to the master and second bedroom to all apartments including the Penthouses. The finishes were matt lacquer Grigio and Tortora. A total of 55 wardrobes. 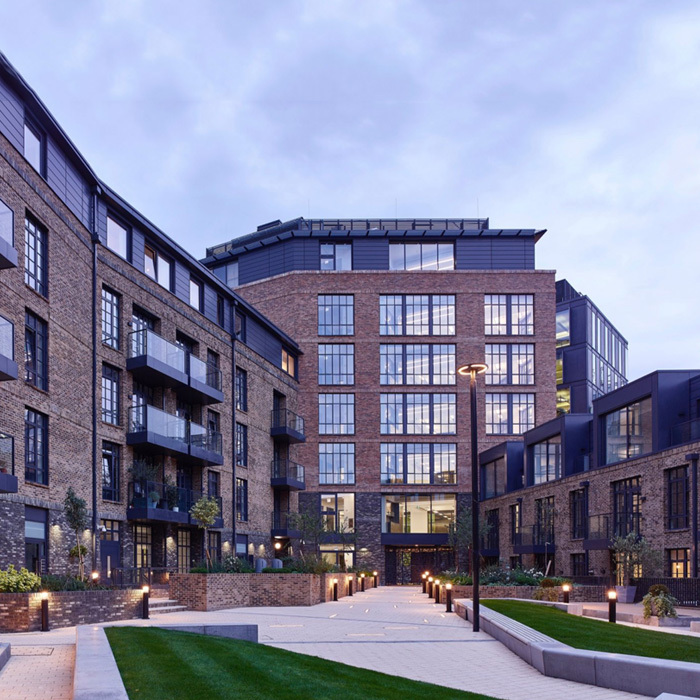 Winner of the Sunday Times British Homes Awards 2015, winner of the Best Interior Design, winner of Large Development of the Year. 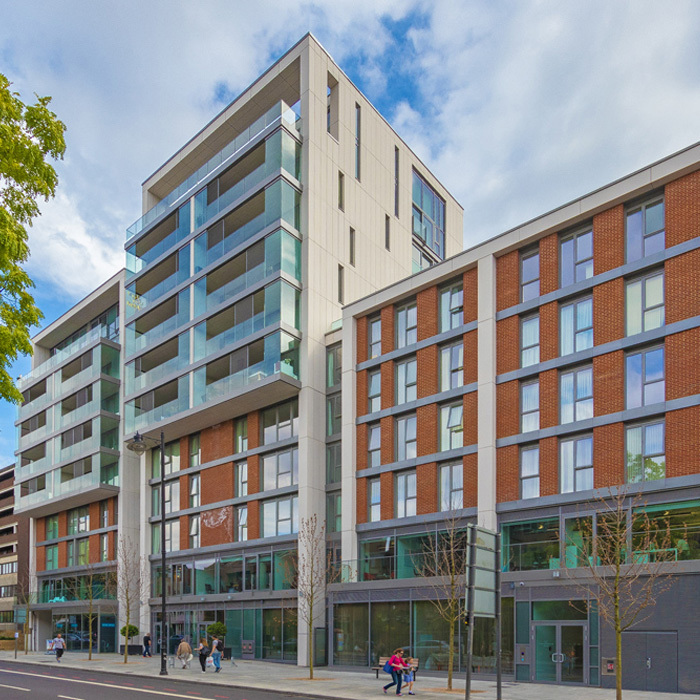 We feel very privileged to have worked on 3 blocks of this stunning development, installing 245 wardrobes to 1, 2 and 3-bedroom Apartments, and 3 Penthouses. 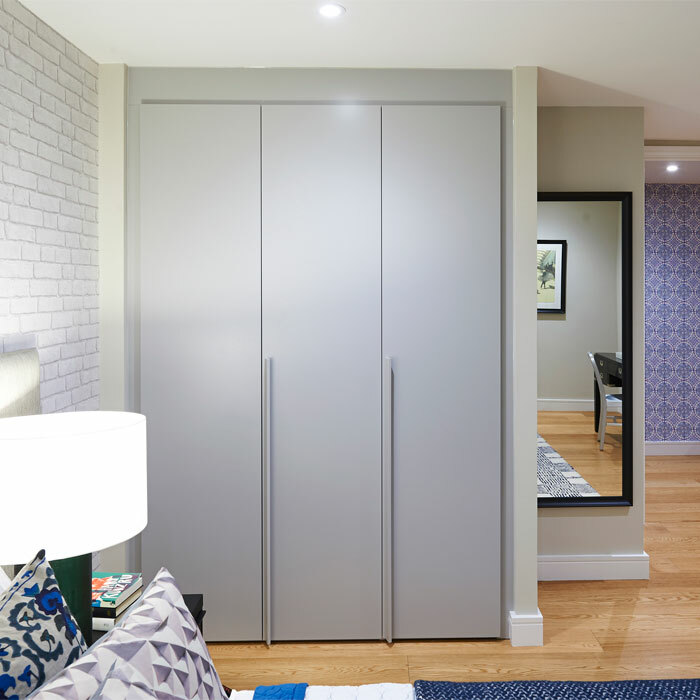 We installed Gola White Matt Lacquer, Crystal Tortora and Wing Walk-in wardrobes. Specification: Crystal Glass Tortora doors with Millergihe Pearla interior. Bianco matt lacquer Gola handle, doors with Millergihe Pearla interior. Olmo Scuro finish Wing Walk-In Units. 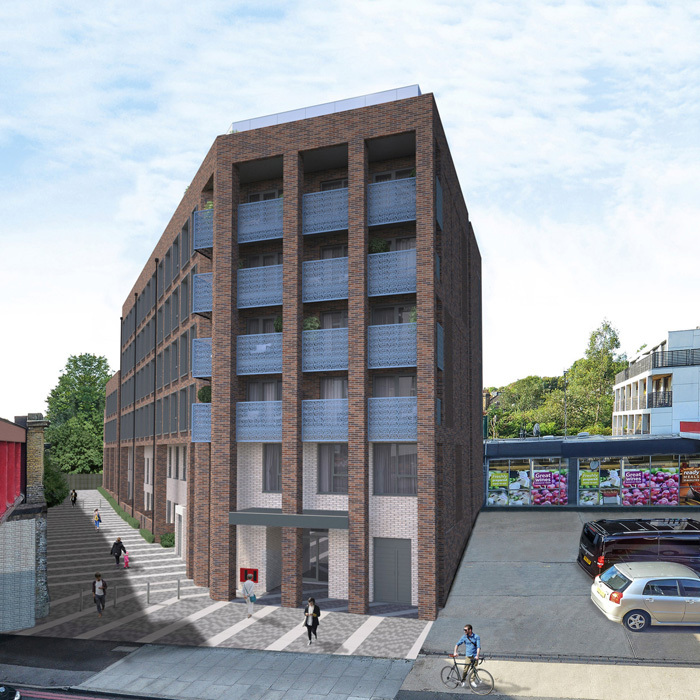 Woods Road, Peckham is a contemporary development of 1, 2 and 3 bedroom apartments. 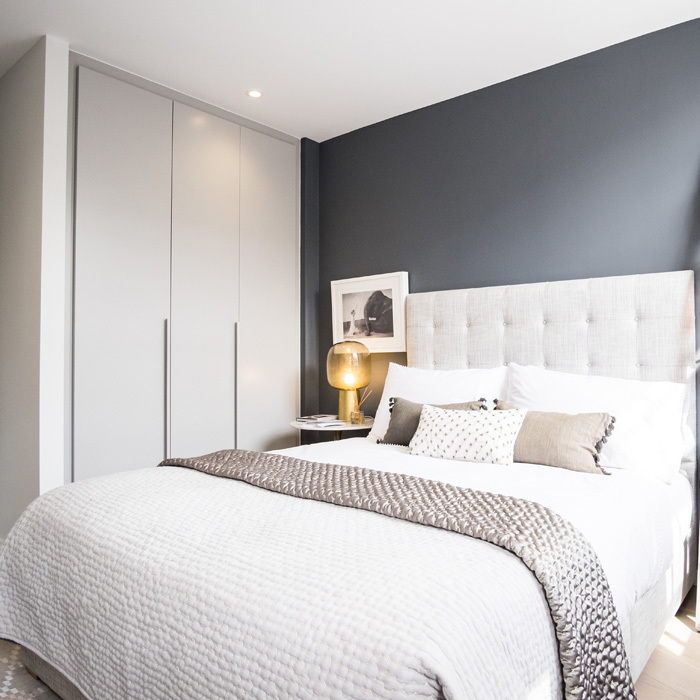 We have installed the Cinquanta3 wardrobes in a Grigio finish to bedroom 1 of 83 plots. Specification: Grey exterior finish with Nuvola interior. Doors complete with A70 handle in matching finish. 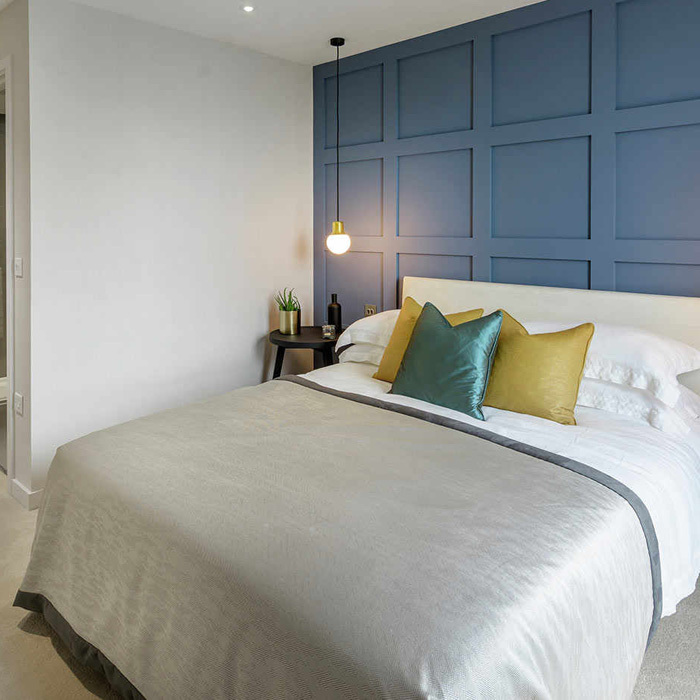 A development in the centre of Bromley of 50 luxury apartments where Pantera installed wardrobes to the master bedroom of all plots using the Cinquanta3 range from Battistella. Specification: Bianco exterior finish with Nuvola interior. Doors complete with A76 handle in both sliding and hinged. 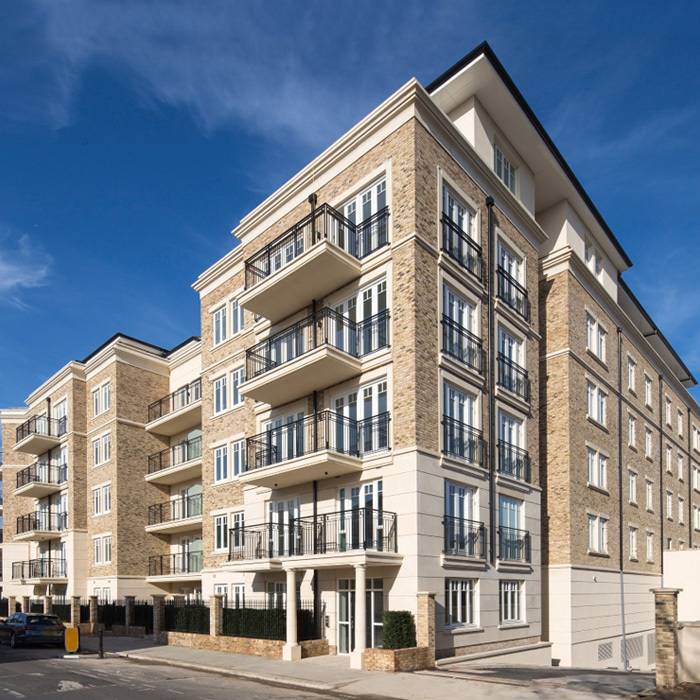 Pantera installed Bianco finish Cinquanta3 wardrobes to 15 3 and 4 bedroom houses on Phase 2 of the village development set in the picturesque, historic setting in Barkingside. 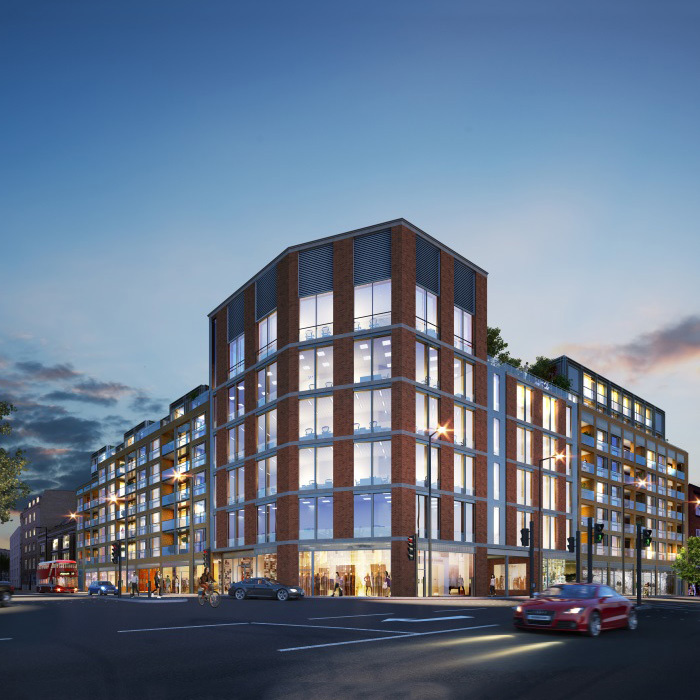 A stunning development of 10 1 and 2 bedroom contemporary apartments and 10 3 and 4 bedroom family homes. 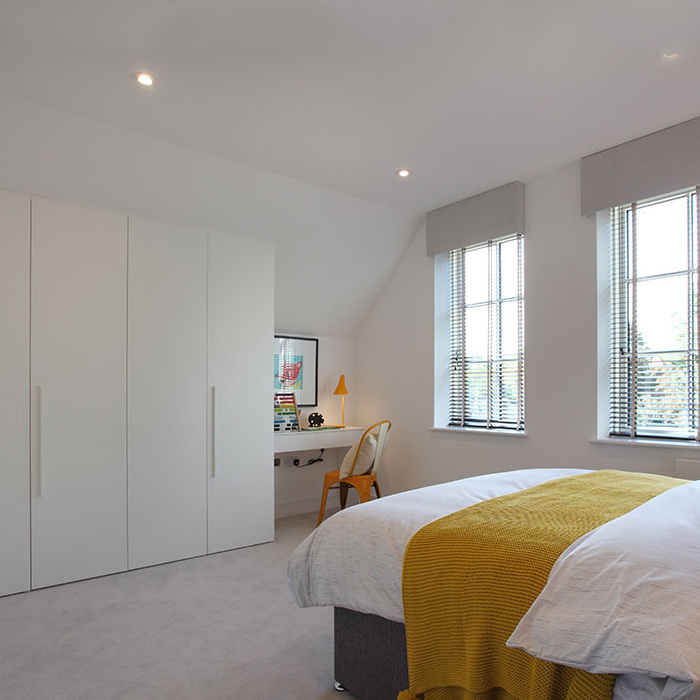 We installed Bianco Cinquanta3 wardrobes to each of the master bedrooms. Specification: Canapa exterior finish with Nuvola interior. Doors complete with A76 handle. 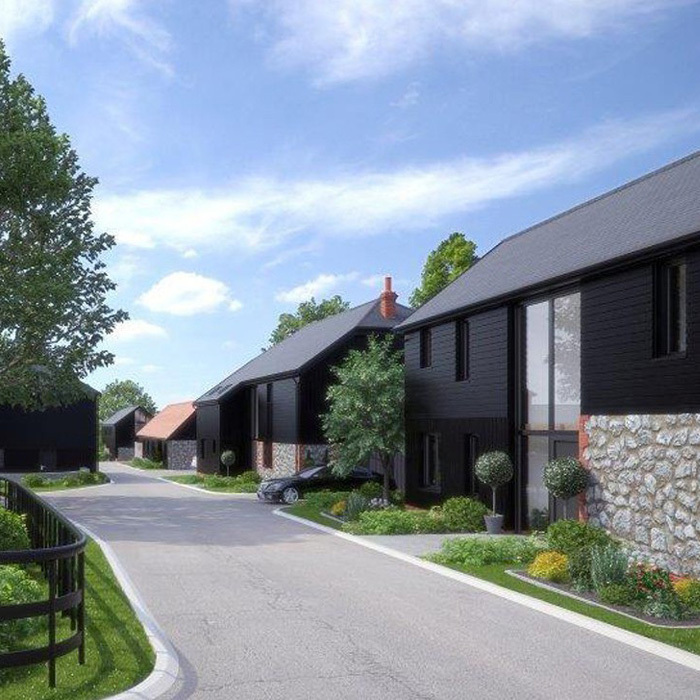 This prestigious single private residence of exceptionally high specification consists of 6 bedrooms and includes a sauna, pool, cinema, gym and self contained au-pair suite. 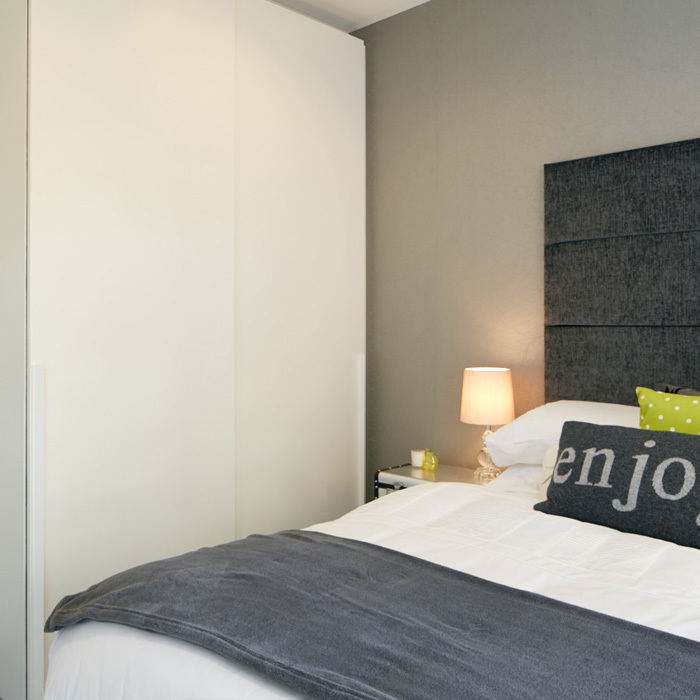 Pantera installed Alfa YNCA matt lacquer hinged wardrobes and walk-in Wing Cabine. 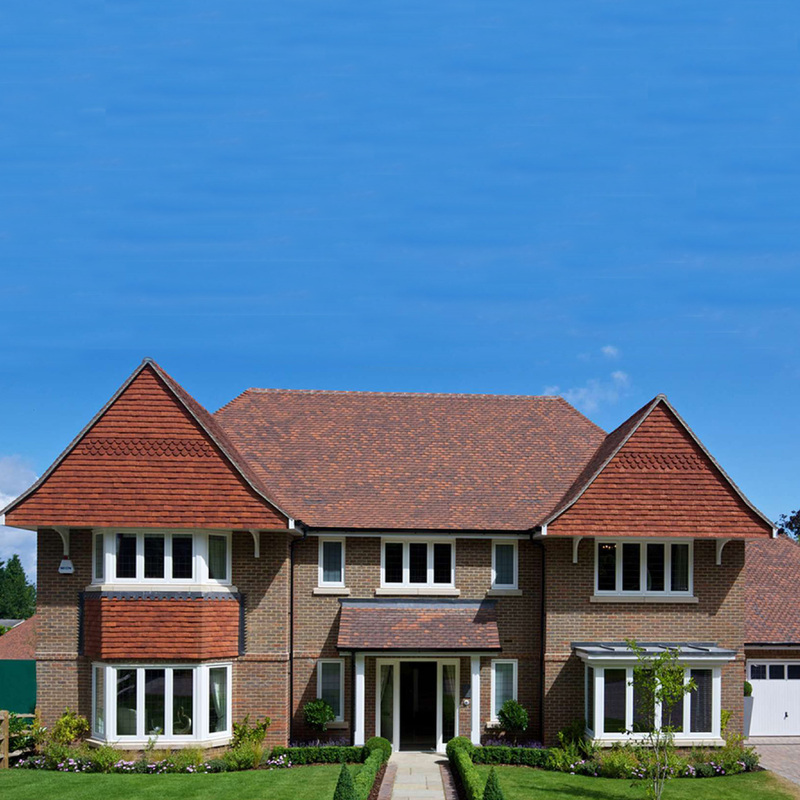 Pantera Carpentry were responsible for the roofing, Stairs, decking and interior carpentry fit-out. Specification: Novamobili Alfa YNCA door in Bianco finish and Millerighe Pearla interior. Bianco finish Wing Walk-In units. A fantastic scheme. 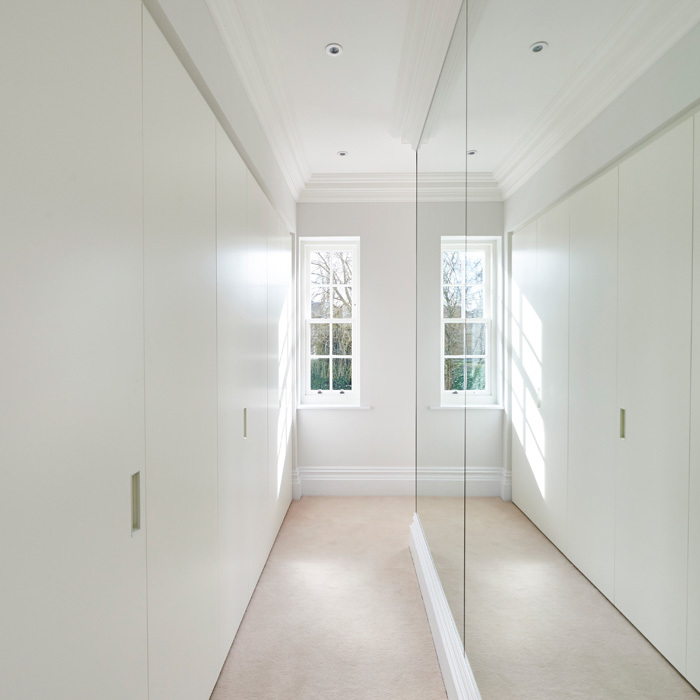 Pantera installed a total of 69 wardrobes in both Bianco White lacquer and Mirror sliding and hinged door wardrobes. Specification: Mirror sliding doors with White Larch interior. Bianco matt lacquer Gola Handle sliding doors with White Larch interior. Specification: Miscela Sliding doors in Titanium finish profiles and grey or canapa panel inserts. Internal shelf in Millerighe Pearla. 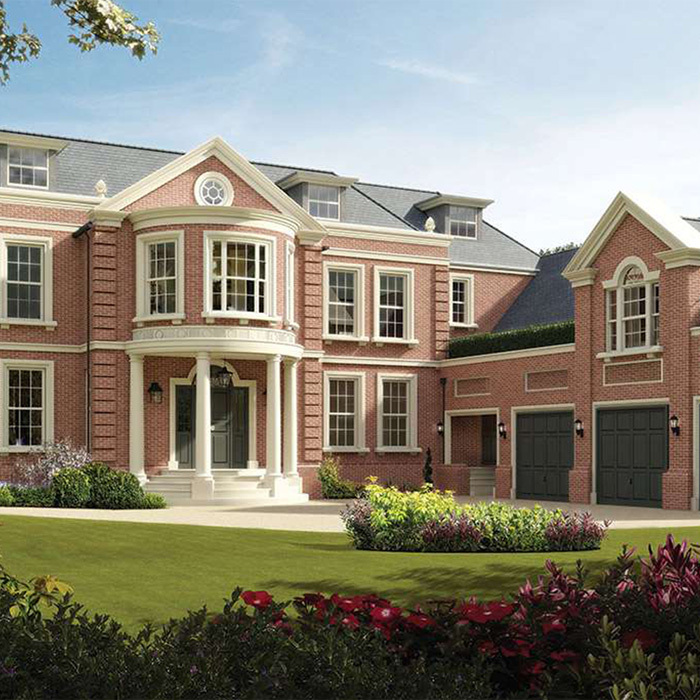 An exclusive development of six majestic houses in a highly sought after residential address. 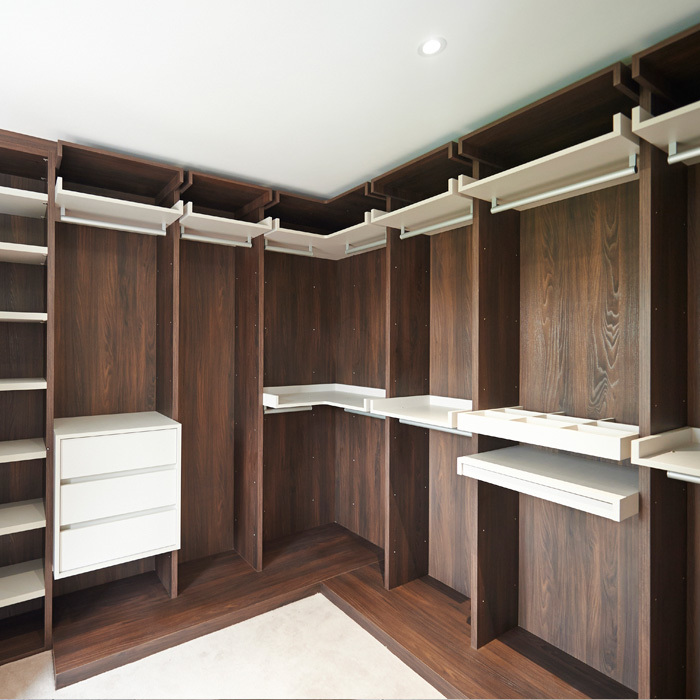 Pantera installed Alfa matt lacquer hinged wardrobes and walk-in Wing Cabine to bedrooms 1, 2 & 3. Specification: Novamobili Alfa door in Bianco finish and Millerighe Pearla interior complete with Bianco flap handles. Olmo Scuro finish Wing Walk-In units. 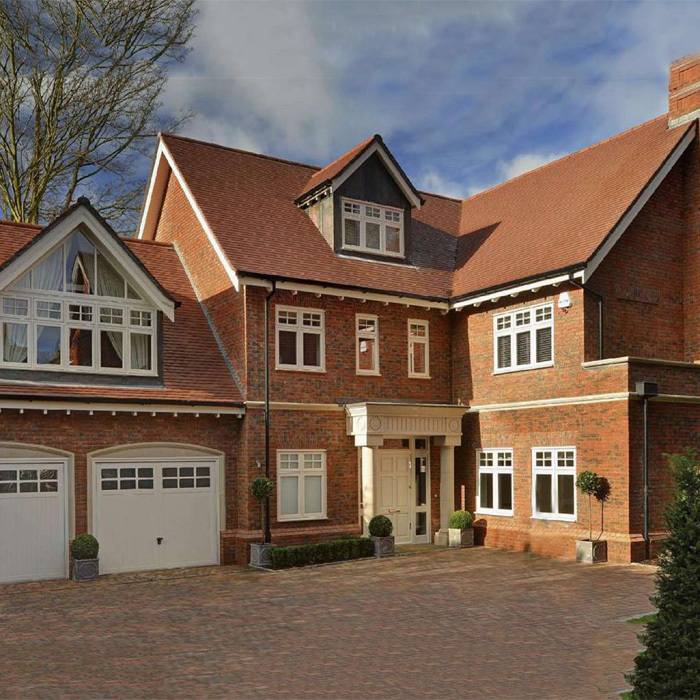 One of Cobham's most exclusive new addresses comprising of four magnificent 4 & 5 bedroom houses. 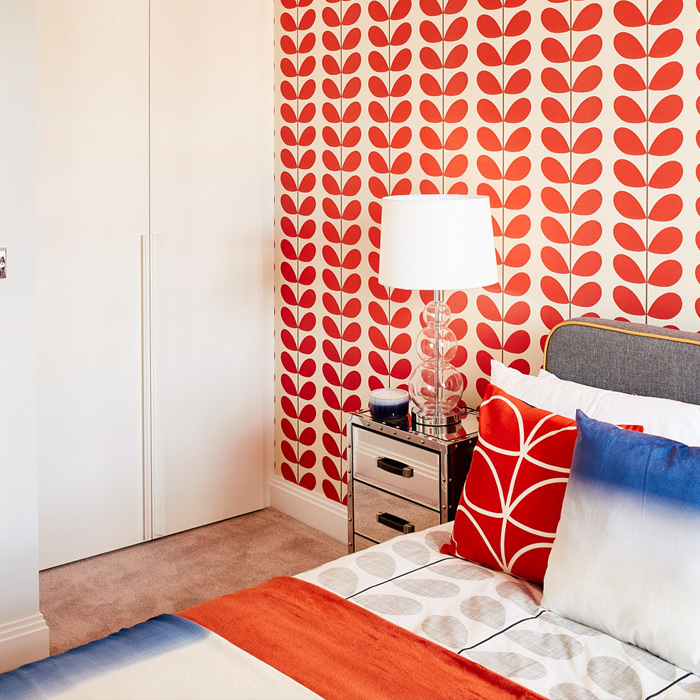 Pantera installed Alfa YNCA hinged wardrobes to bedrooms 2, 3 & 4 and the master dressing rooms had the walk-in Wing Cabine. Specification: Novamobili Alfa YNCA door in Olmo Scuro finish and Millerighe Pearla interior. Olmo Scuro finish Wing Walk-In units. 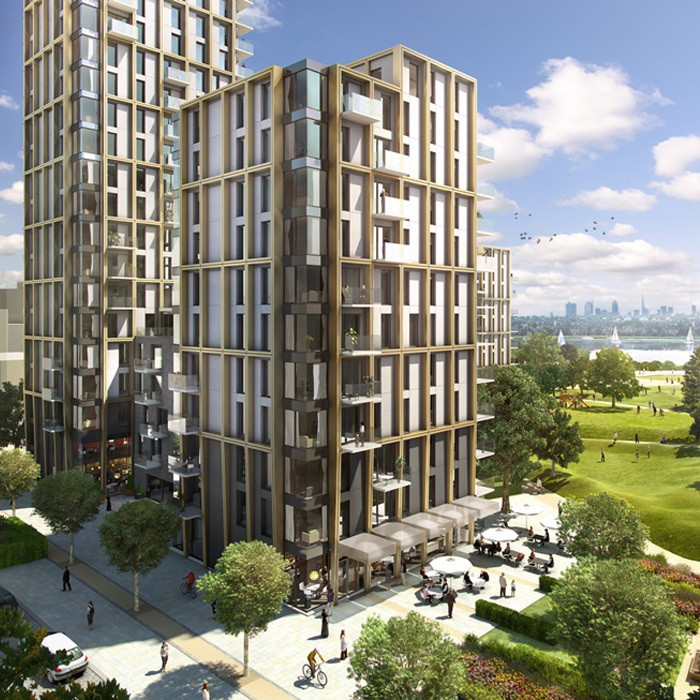 This development consists of 44 residences with 1, 2, 3 & 4 bedroom apartments, duplexes and 10 penthouses. 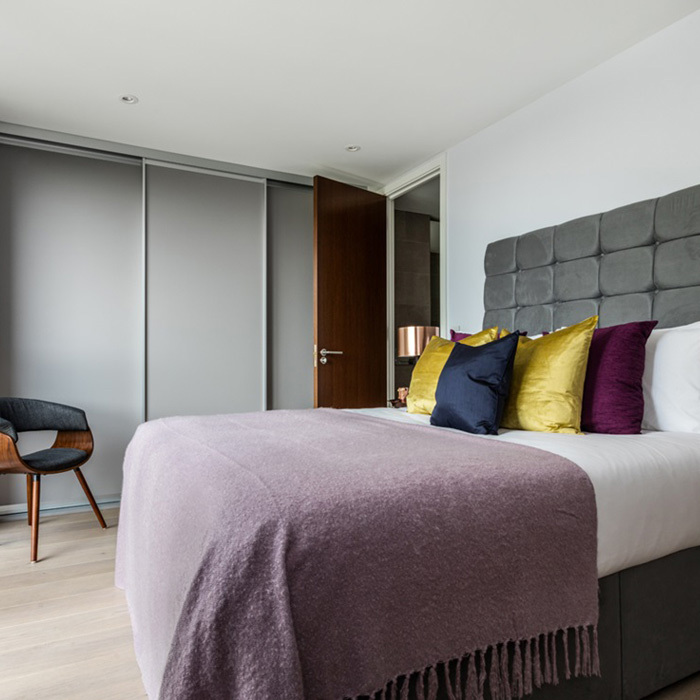 Pantera installed Alfa matt lacquer hinged wardrobes or Miscela Sliding systems to bedrooms 1 & 2 in all apartments and bedrooms 1, 2 & 3 in the Penthouses. 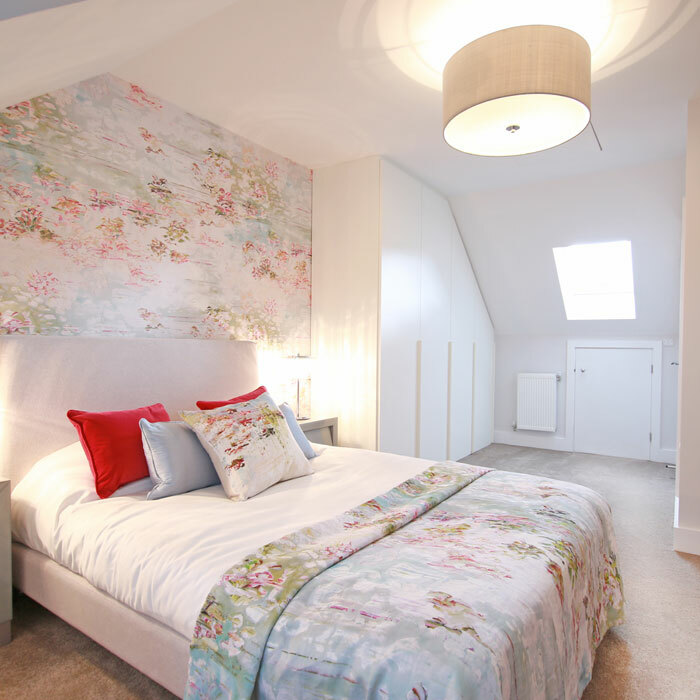 Pantera Carpentry were responsible for the roofing and interior carpentry fit-out including bathrooms. 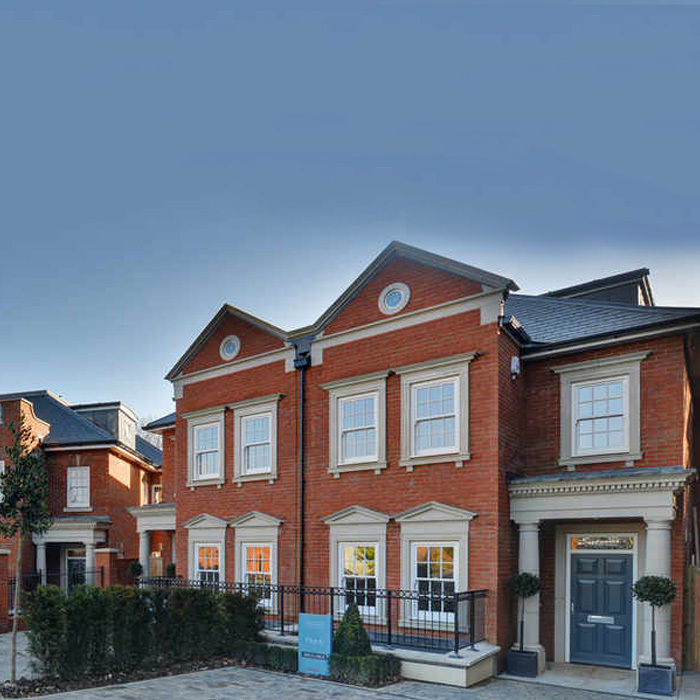 A stunning collection of four, 4 & 5 bedroom detached houses. 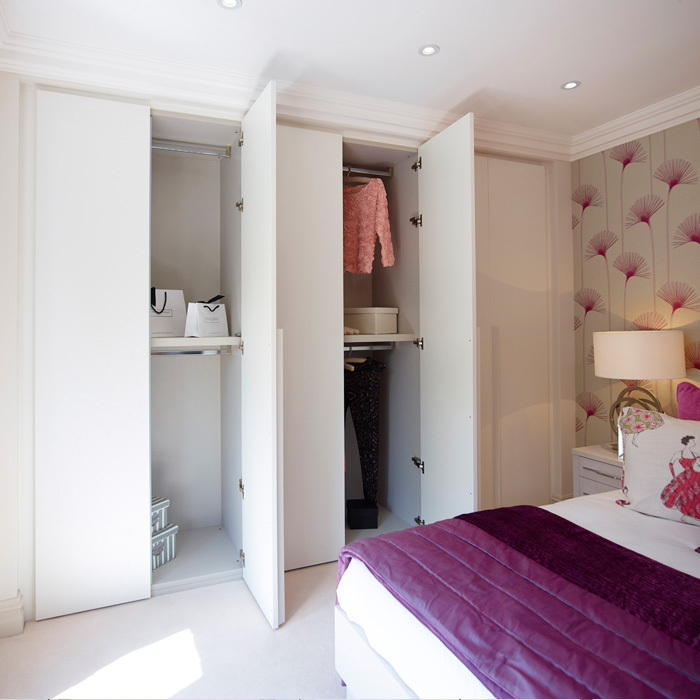 Pantera installed Alfa matt lacquer hinged wardrobes with full internal fit out with lighting to bedrooms 1, 2 & 3. Specification: Novamobili Alfa door in Bianco finish and Millerighe Pearla interior. Doors complete with flap handle in matching finish.